It's unfair to place all blame on the politicians. The media is a major influence, and the agenda of its masters also plays a role. I'm no fan of the DM, but equally Julian Critchley, appears to lack any integrity. His job for which he was being paid, not to mention his gold plated pension and other perks was to implement and administer the strategies, regardless of how flawed they might be. Since he felt unable to do that, why did he not have the courage to resign, rather than presiding over 'meetings' which further served to undermine the strategies? He is inaccurate in stating that the Government has lost control over the supply of drugs, since it has never had control. That rests with various organised crime cartels and terrorist organisations. 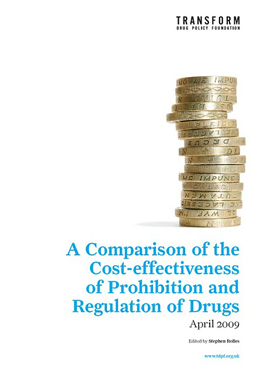 The simplistic views expressed by those who believe that legalising drugs will alter, or materially change that situation indicates that they are out of touch with reality. There is no way that either the crime cartels or terrorist organisation are going to relinquish their grip on the cultivation and distribution resources which they control with ruthless efficiency. It is therefore not surprising that those who are the supporters of legalisation have never offered any explanation of how or why they would do so. The legalisation of drugs notwithstanding any restrictions placed on their use would not alter the fact that the cultivation and distribution of the raw materials used in their manufacture would still be under the control of criminals and terrorists. Legalisation would not and cannot change that, no more those engaged in what is laughably called the war on drugs have been able to control the escalating availability and use of drugs. Nor would legalisation change or alter the diseases and disordes caused by drug use which manifestly includes the insanity displayed by those who not only use drugs but also by those who encourage their use. I see. So I suppose that in America the alcohol trade is still controlled by the mafia, and has been since prohibition ended there? I imagine that people are ignoring all the bars and liquor stores and continuing to drink illegal moonshine and bathtub-brewed beer in speakeasies run by mobsters? Give drug users the choice between buying a legal regulated product from a licensed vendor with detailed information on what it contains or a bag of pills from somebody standing on a street corner and which do you think they'll choose? 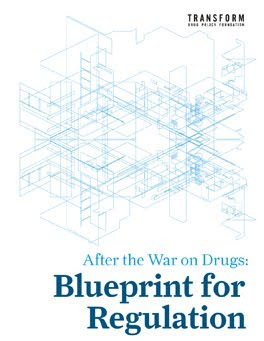 Or perhaps you think organised crime will transform itself into organised business and get itself into the legal drugs market, and take advantage of the legal protection that operating legally confers? Dom - your comments makes no sense to me. In what way would or could organised crime still control the market for an illicit product if there is an alternative market product, produced and supplied legally at lower price and of known strength and purity? You seem to misunderstand the fact that organised crime are only involved because of prohibition in the first instance - for reasons of fairly simply supply and demand economics. Some illicit market will always continue no doubt, but like currently legal drugs it will be a small fraction of the total and not offer the extraordinary profits on offer to the violent gangsters who control the illicit drug market today. As to Critchley. He did his job and when he felt it was untenable did resign, waiting 8 years to speak out. Your attack on him is offensive and totally unwarranted. Should no civil servant ever speak out - even if they see injustice and unfolding disaster? What sort of world would that be? OK so the Daily Mail writes up a neutral article and is generally quiet for once. This doesn't mean anything. The Daily Mail and the Sun are not potential allies, it actually sounds very naive to say such a thing. As someone who is forced to read The Sun most days, they always pander to the worst instincts in people, throwing up a picture of Leah Bates on the front page when someone calls for Ecstasy to be legalised. I'm politically centre right in many respects- but the Mail and The Sun are the far right, just as much as The Guardian is the far left. Both sides lack any kind of introspection and most of all are pontificating bullies. Anyone who has crossed The Mail has been villified to their death bed; these are not nice people. If i was a politician wanting to keep my 60 grand a year, i'd probably be scared of them too. Rob, I dont think Danny is writing a hymn of praise to the Mail or suggeting they are allies at this point, merely that the climate of debate is shifting, and that political cowardice (rather than ignorance) is ultimately not to blame - not media commentators.